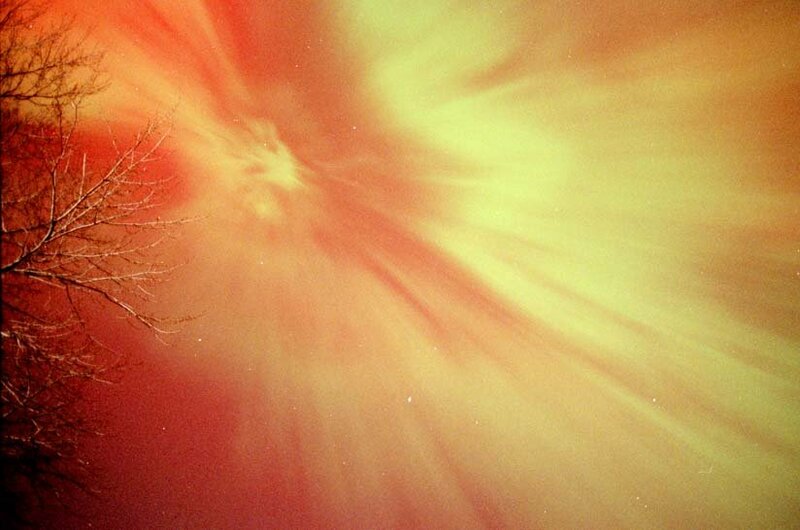 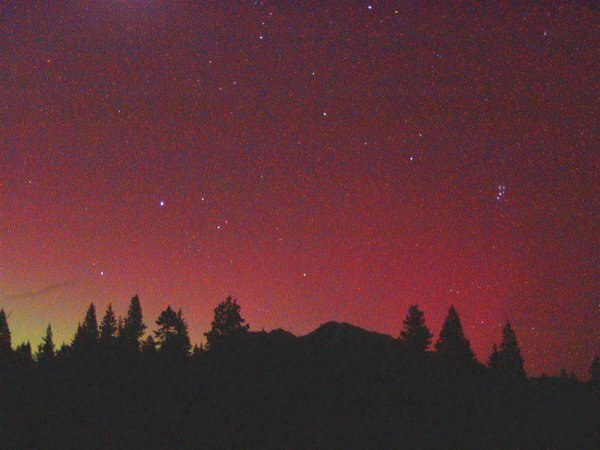 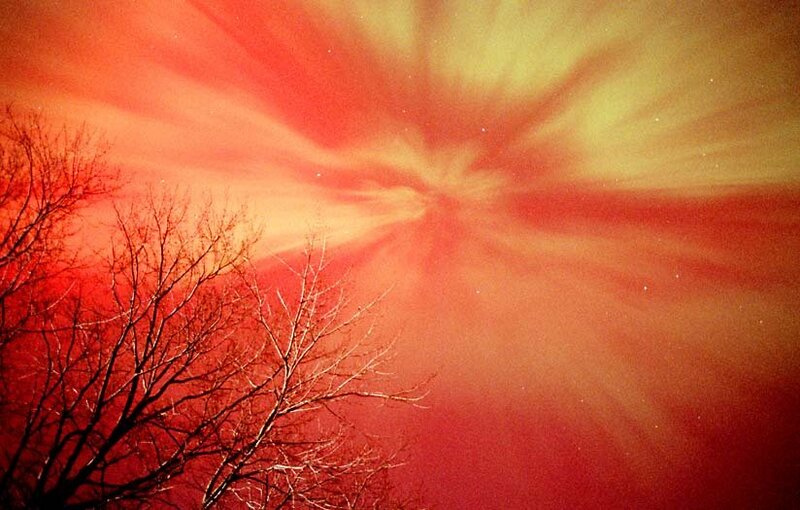 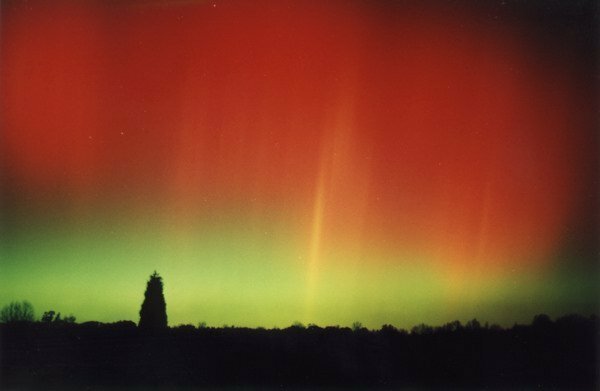 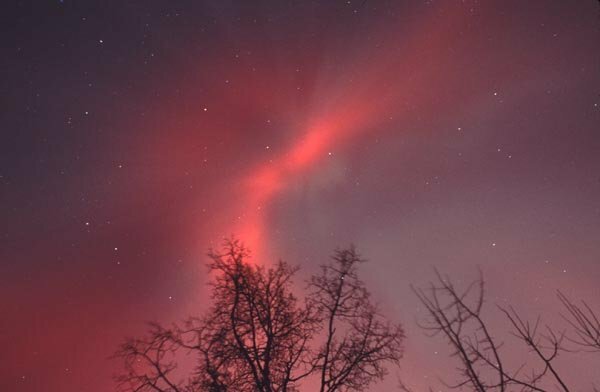 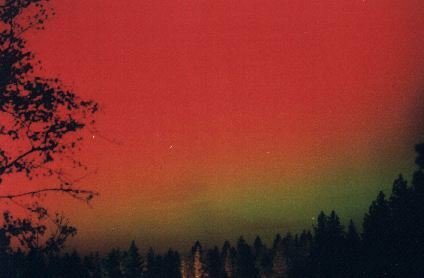 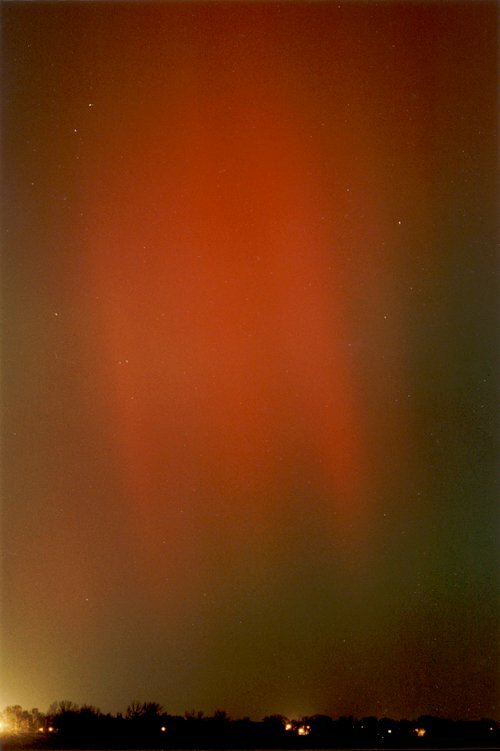 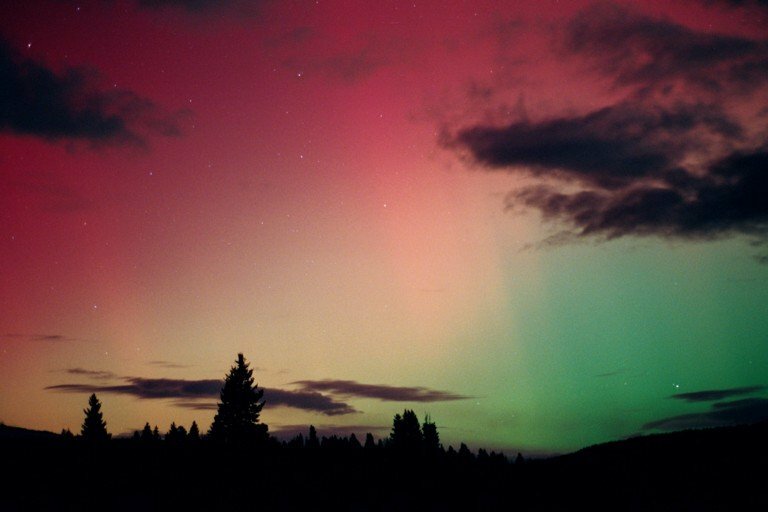 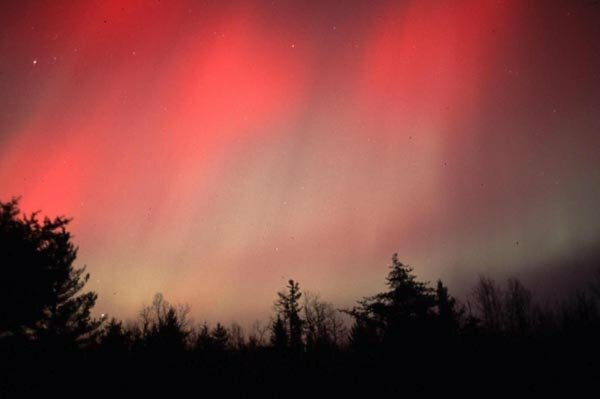 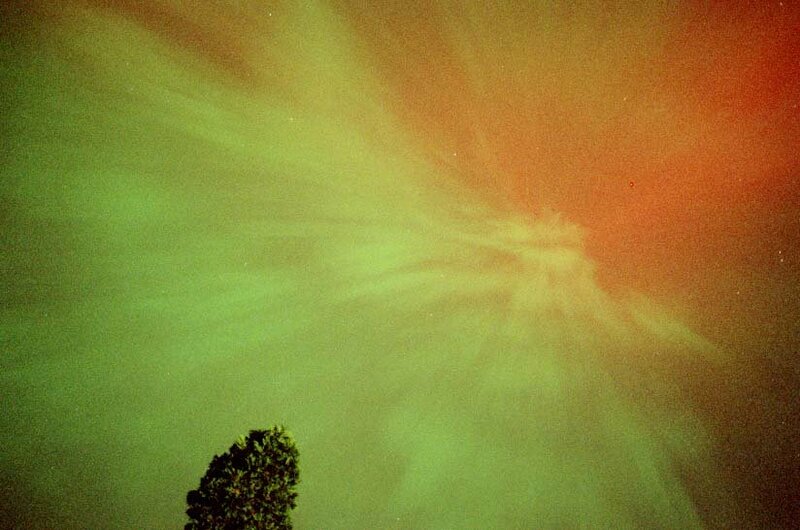 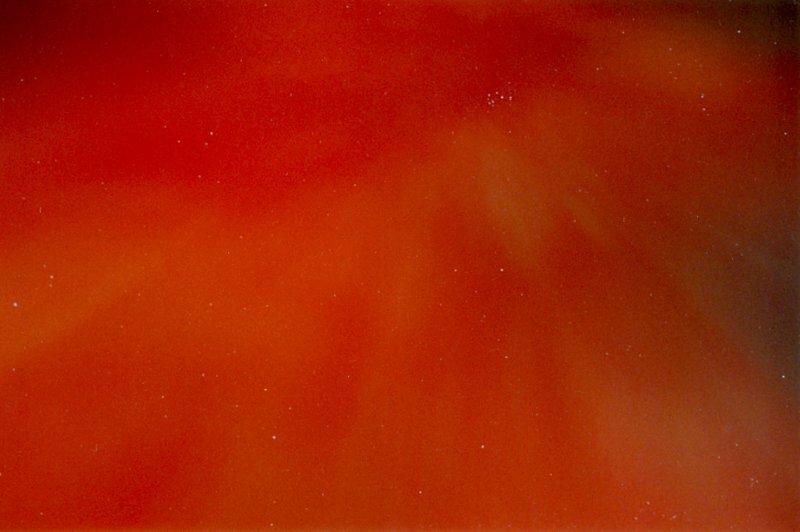 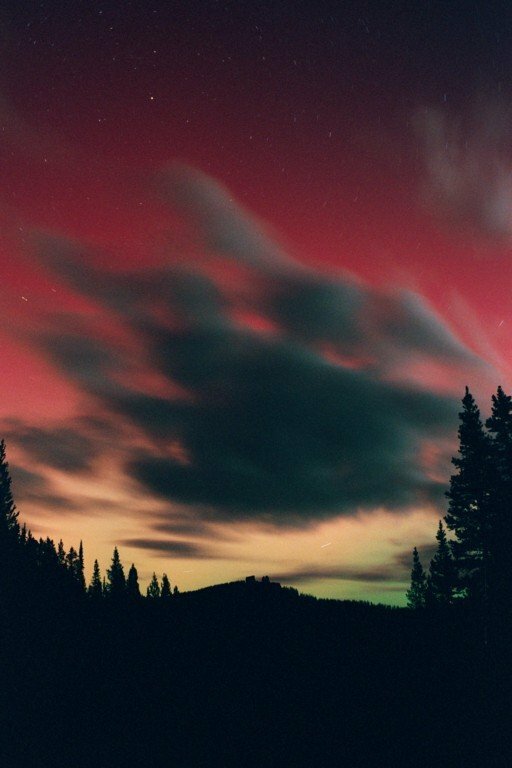 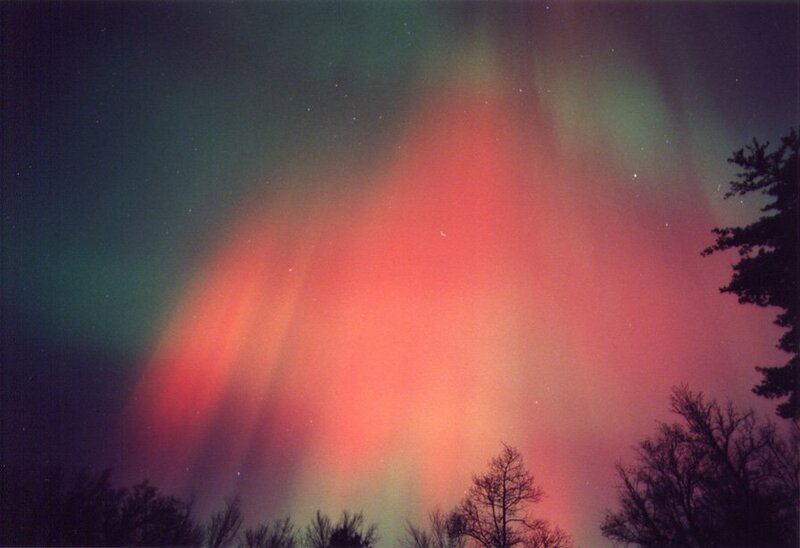 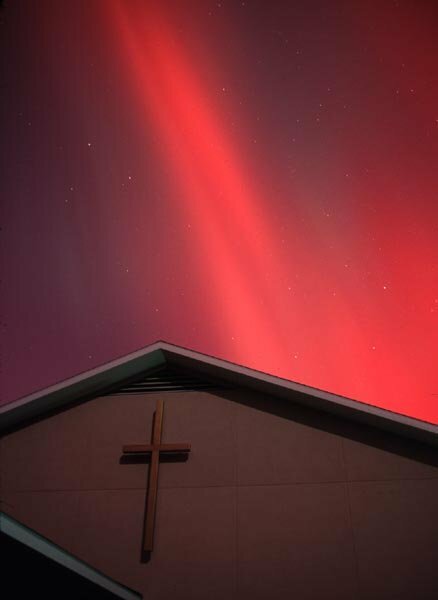 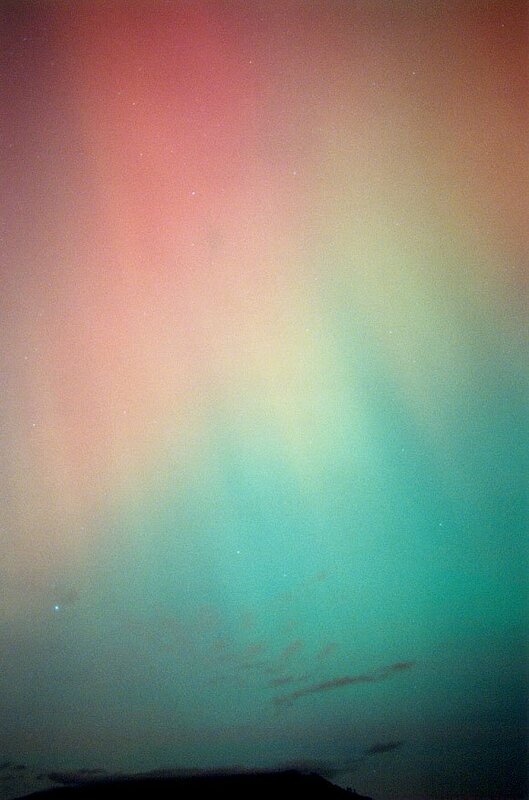 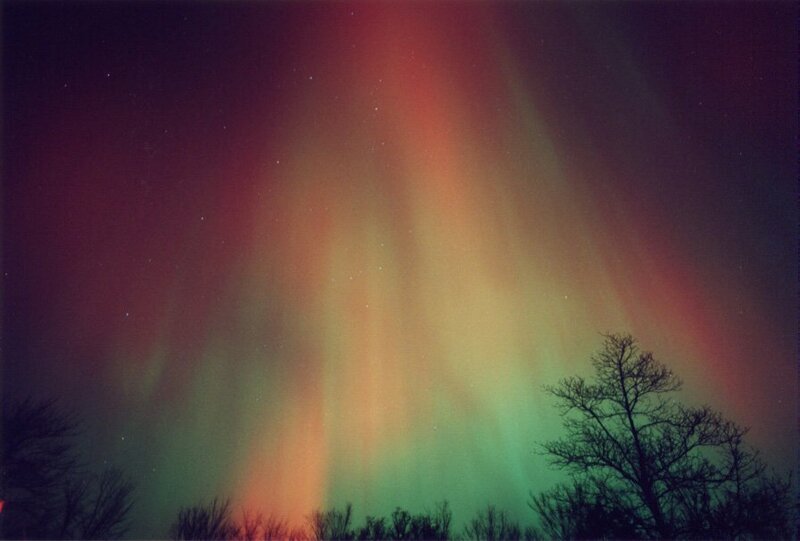 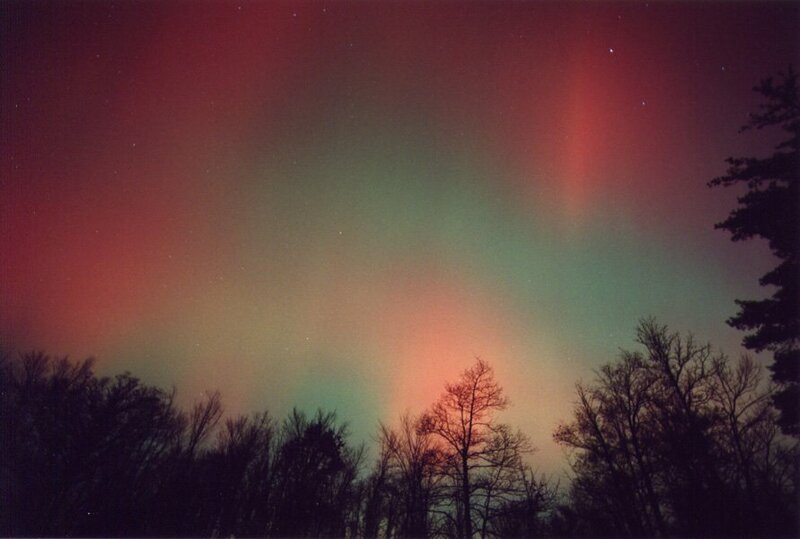 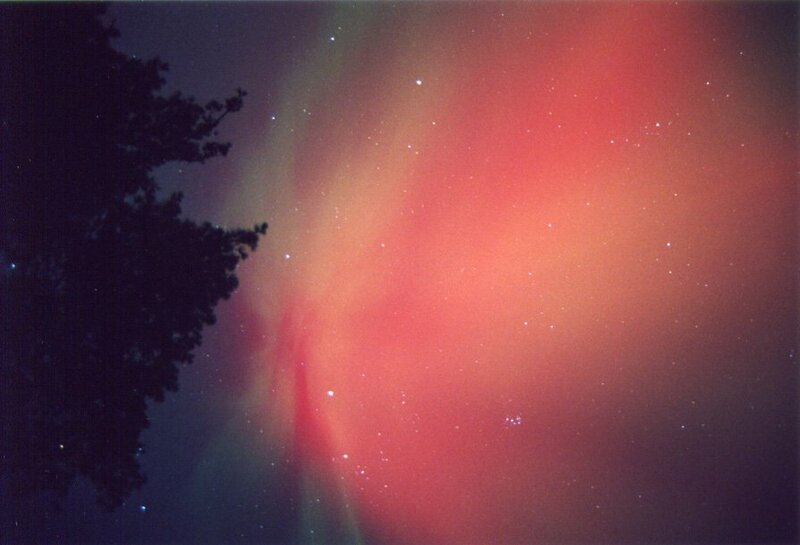 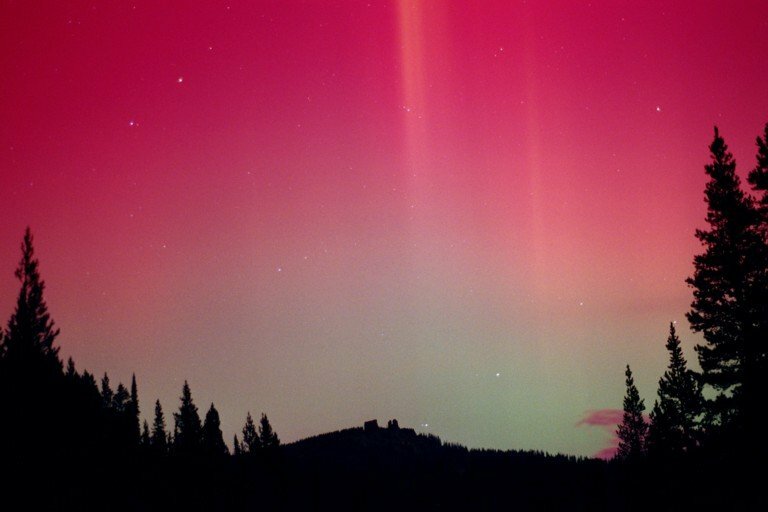 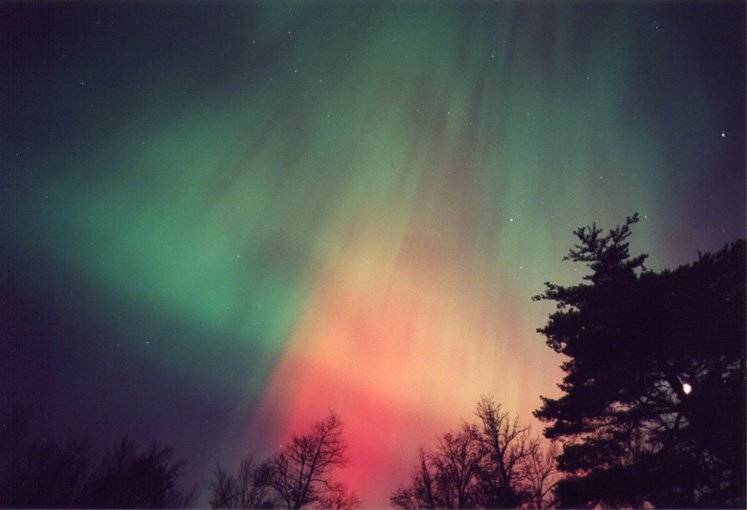 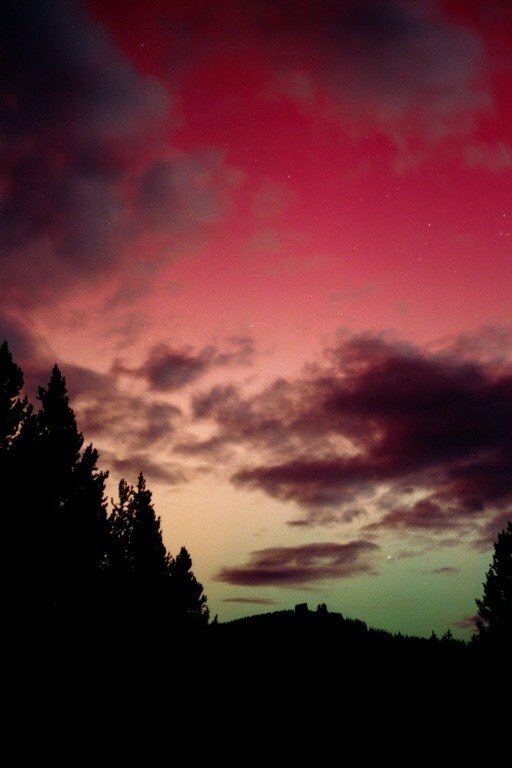 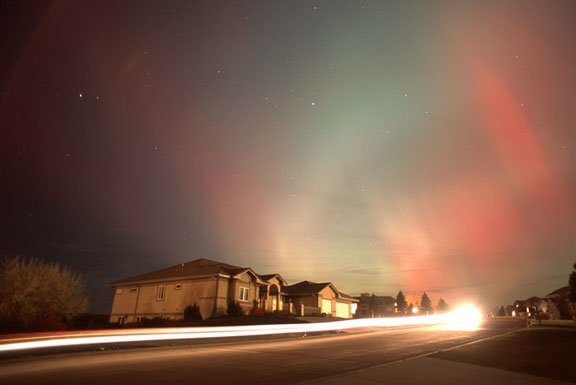 Nov. 5 #1, #2, #3 J. Minow: "This display would have been excellent on an Alaskan scale for pure red aurora!! 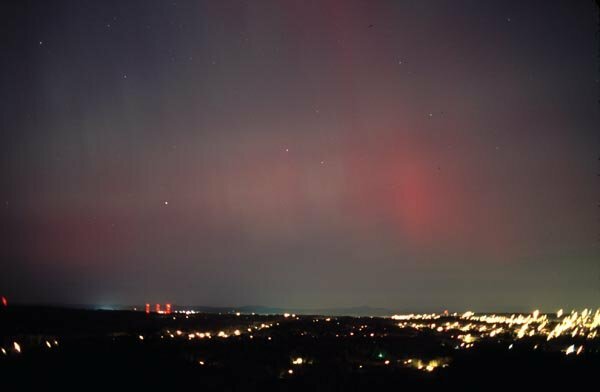 Typically further north you always get some green [OI]557.7 nm emissions that accompany the red [OI]630.0 nm light. 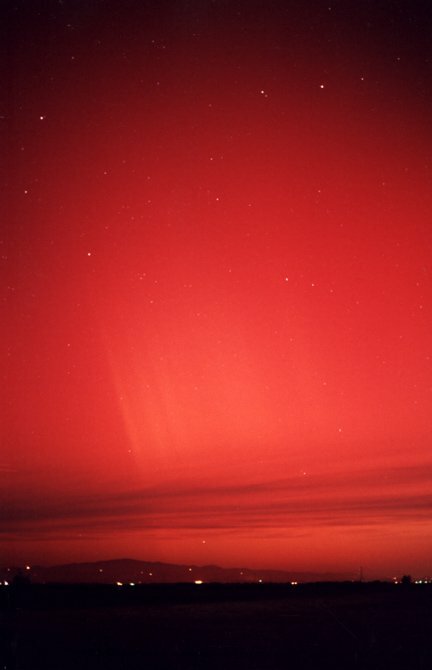 This far south the red is typically all you see....indicating emissions from altitudes >300 km." 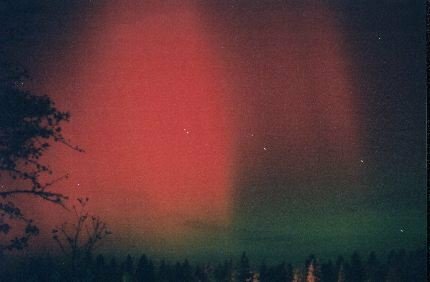 Nov. 6 #1, #2, #3, #4 I. Cooper: "In the shots of Canis Major, Southern Cross, and Scorpions Tail the auroral activity was sub-visual. 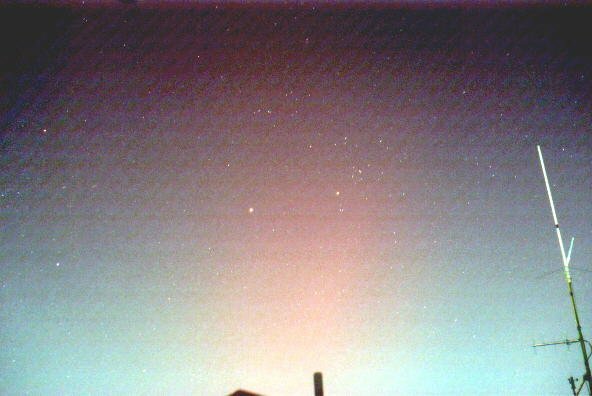 In the Capricorn & Mars shot we could just see the SAR arc by eye." 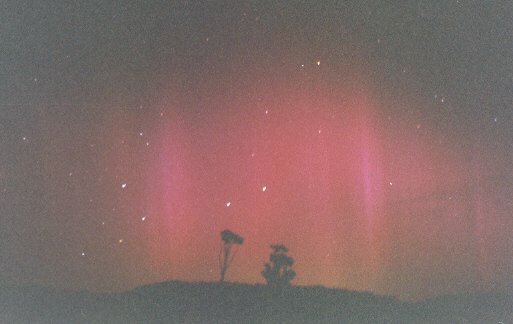 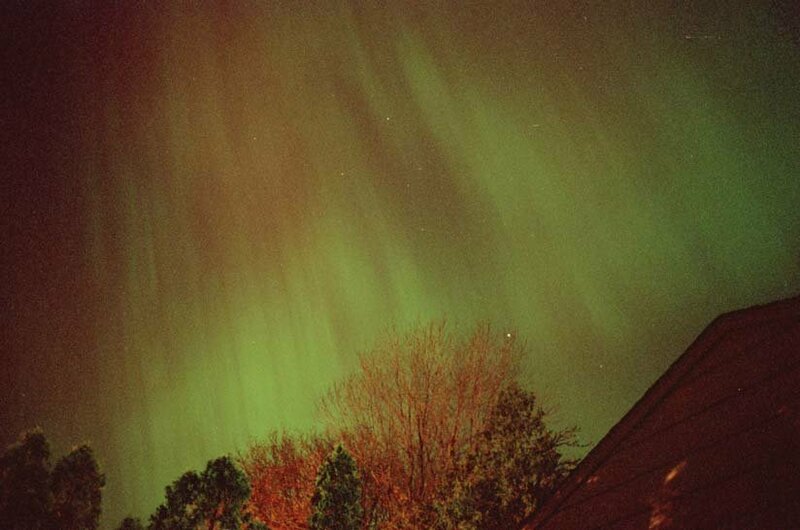 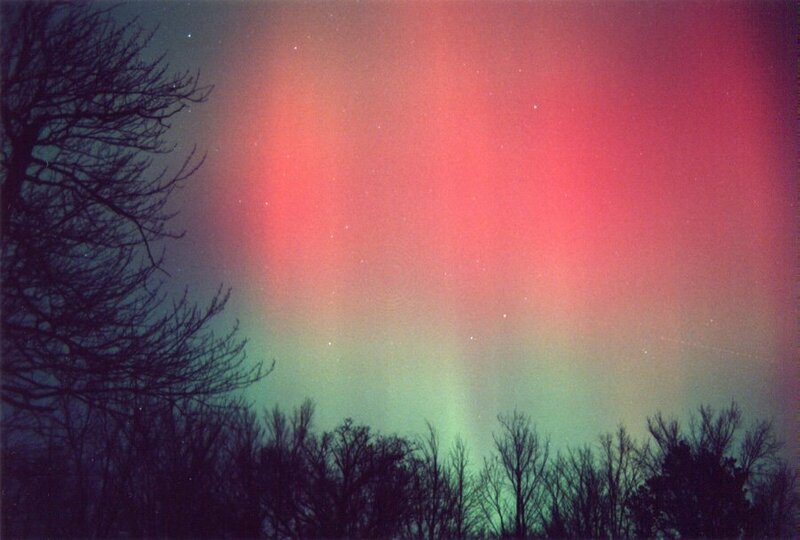 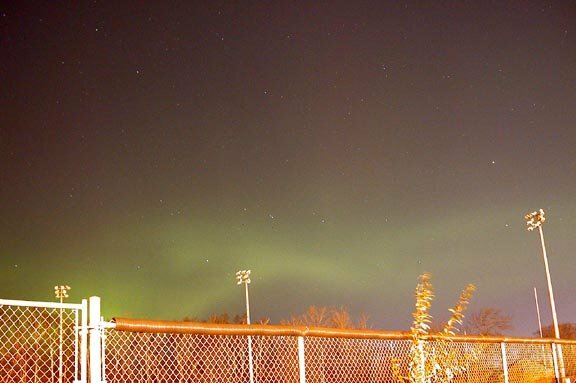 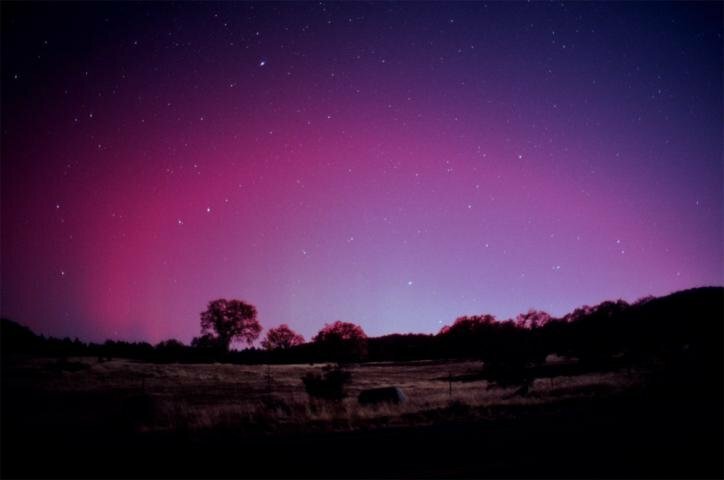 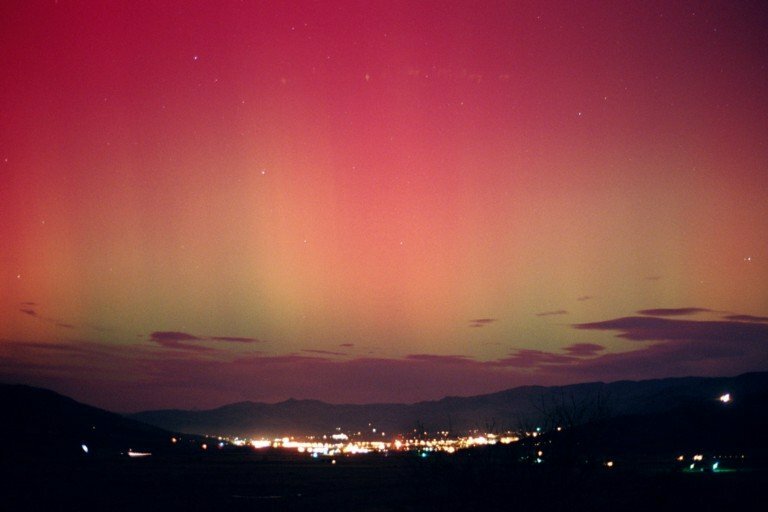 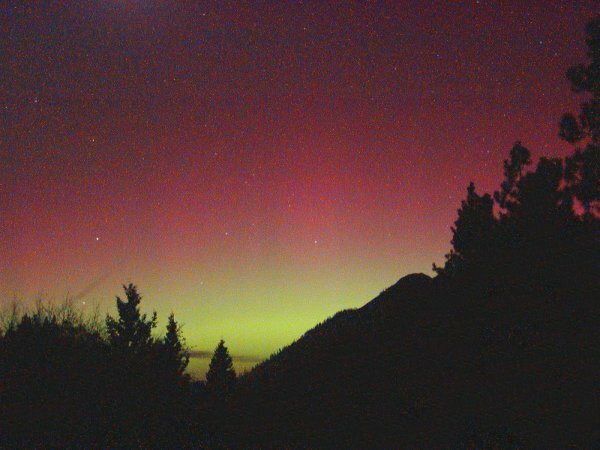 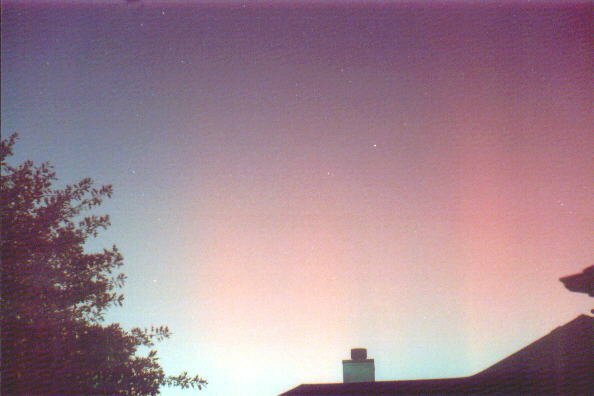 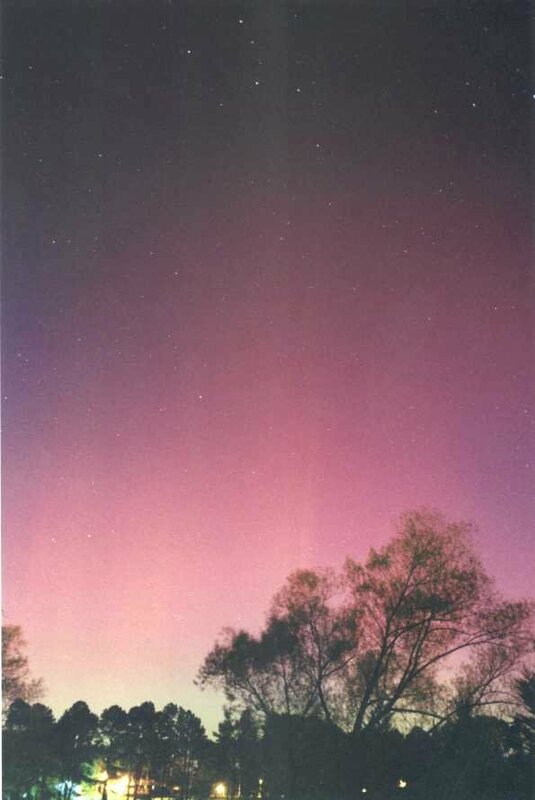 Nov. 5-6 #1, #2, #3, #4, #5 W. Clark: "The aurora display was beautiful. 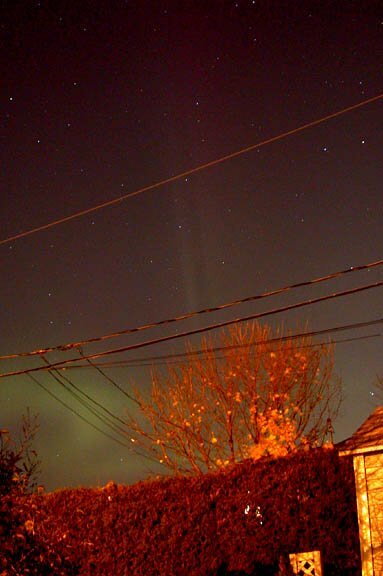 The waning gibbous moon and Jupiter added to the mystery of the scene. 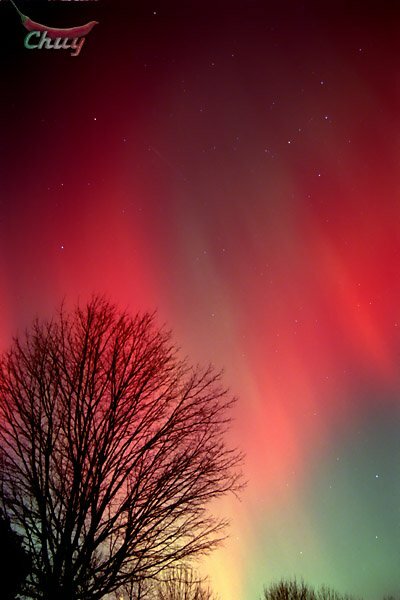 The greens and reds were awesome indeed!" 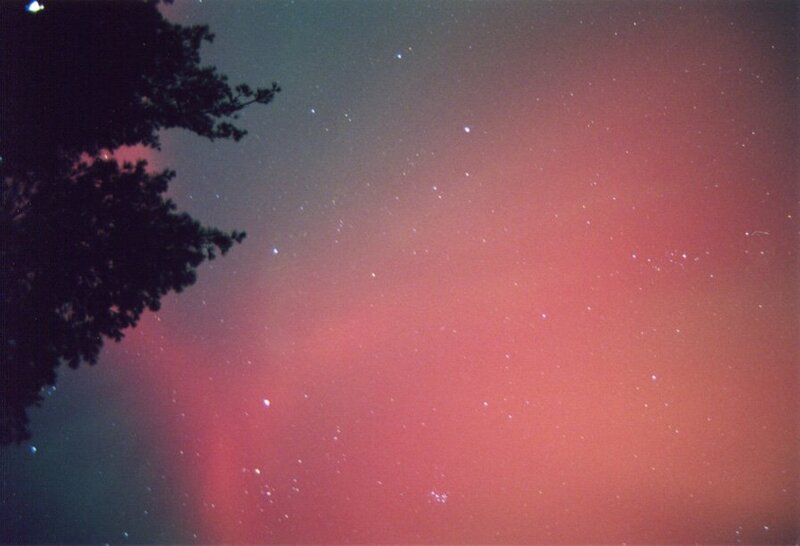 Photo details: 28mm f1.8 lens, 10 to 25 second exposures. 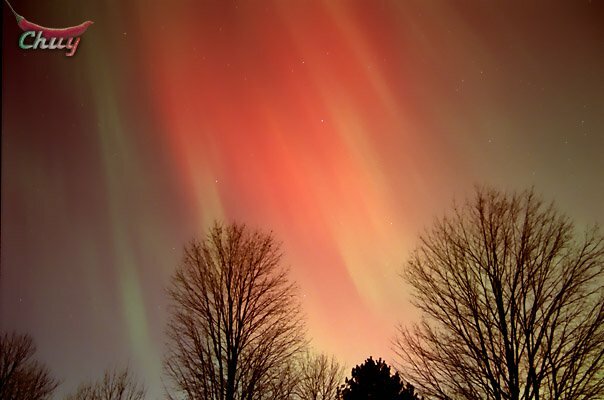 Nov. 5 #1, #2, #3, #4, #5, #6, more J. Ojeda: "This was the best display of the year. 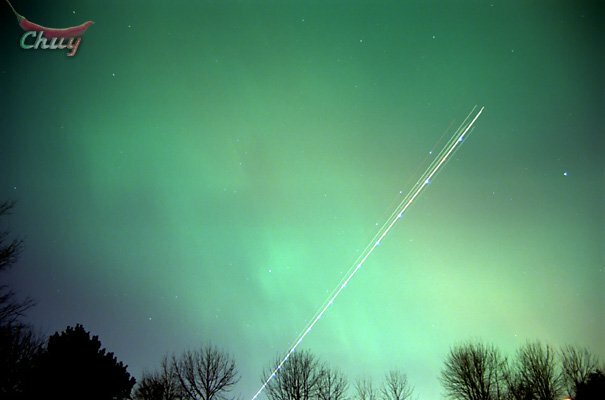 By 10:00pm local time they were everywhere in the sky. 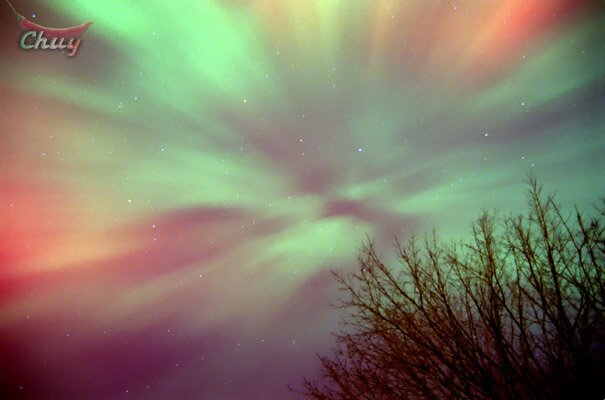 What a night!" 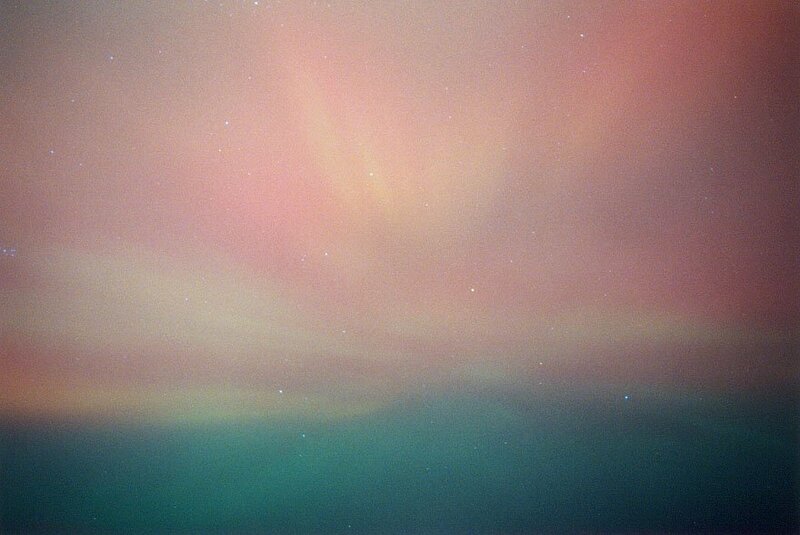 Photo details: Nikon N80 camera, 28mm lens, f-stop 3.5, Fuji Superia 800 film, 20-30 second exposures. 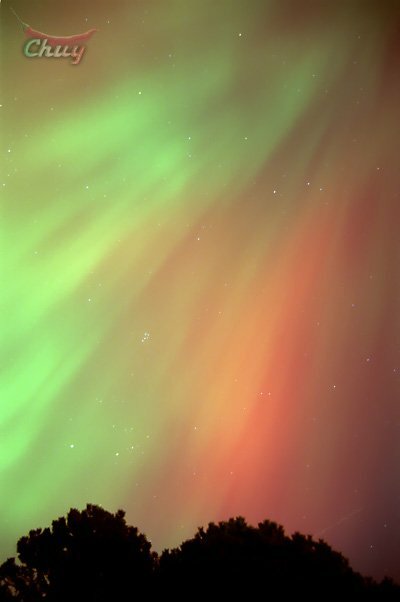 Nov. 5-6 #1, #2, #3, #4, #5 Photo details: Canon EOS 1N, 28 mm f1.8 lens, Fuji Provia RDPIII ASA 100, 20 to 30 sec exposures. 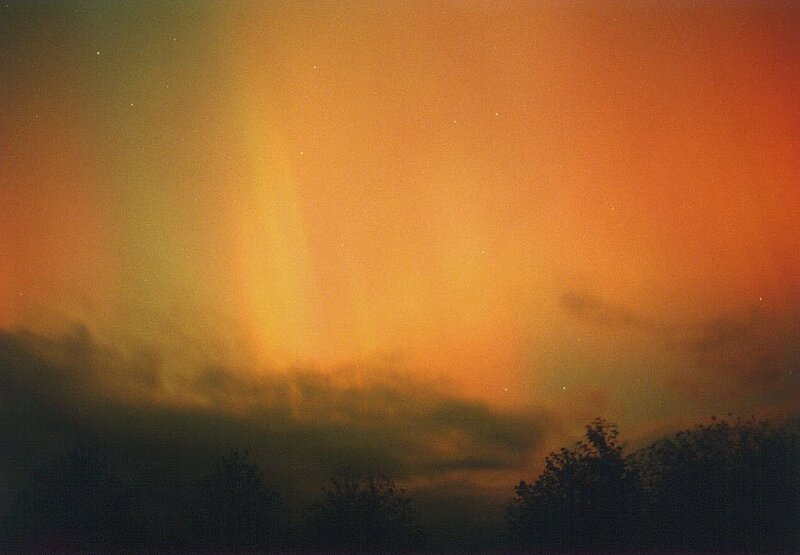 Nov. 5 #1, #2, #3 Photo details: Olympus C-700 digital camera, f=2.8, 16 sec. 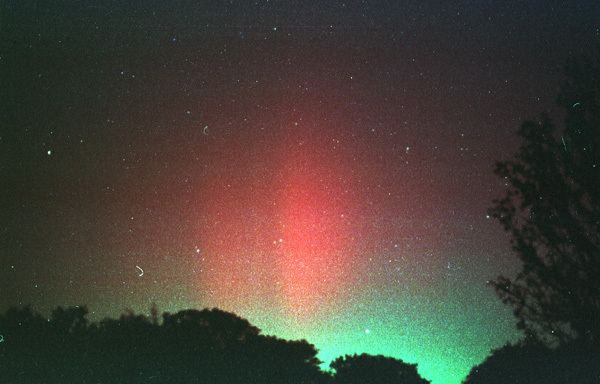 exp, ISO=800. 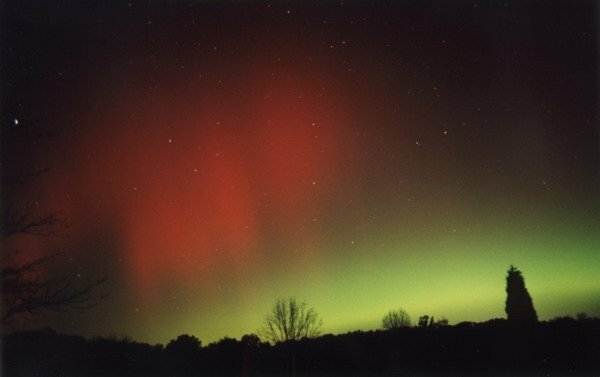 Nov. 5 #1 T. Lindley: "This is a panoramic image created by pasting two standard prints. 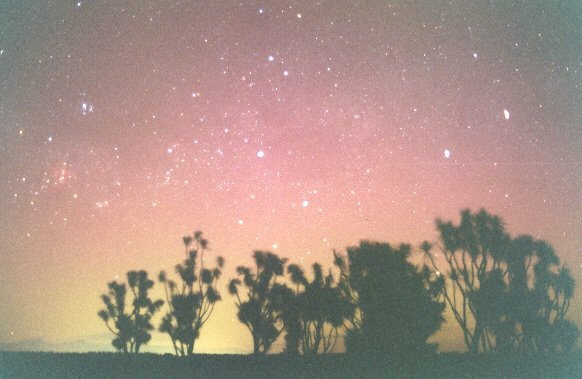 The rising moon is visible in the bottom right." 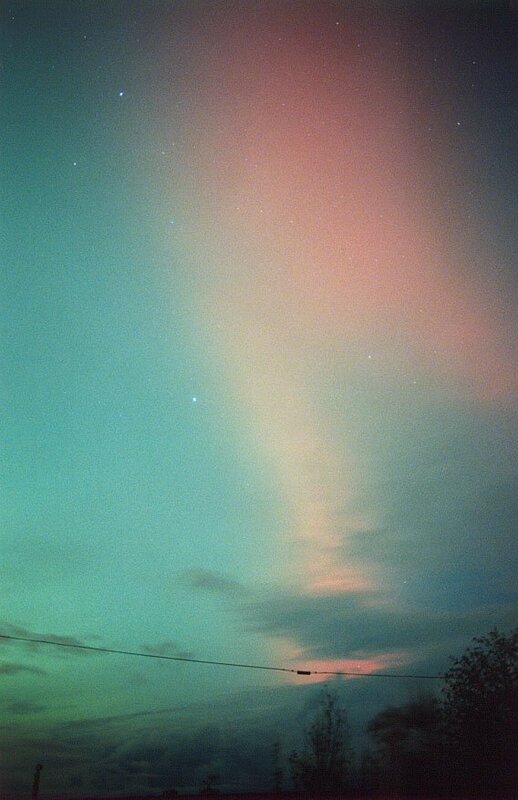 Photo details: 8-15 second exposures at f2.8 28mm lens on Fuji 800 speed film. 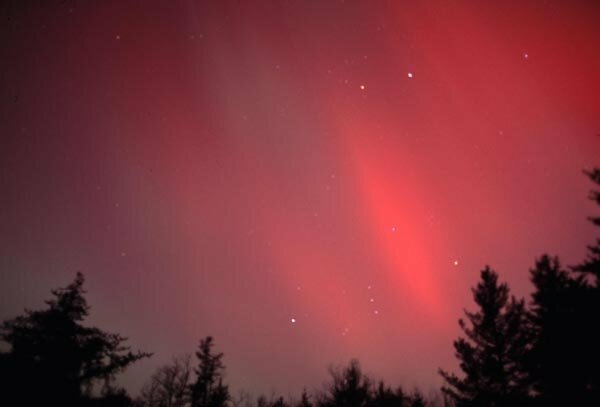 Nov. 5-6 #1, #2, #3, #4, #5, #6, #7, #8, more D. Kinloch: "This phenomenal display of very red aurora started around 9:30 p.m. and lasted until around 2:30 in the morning. 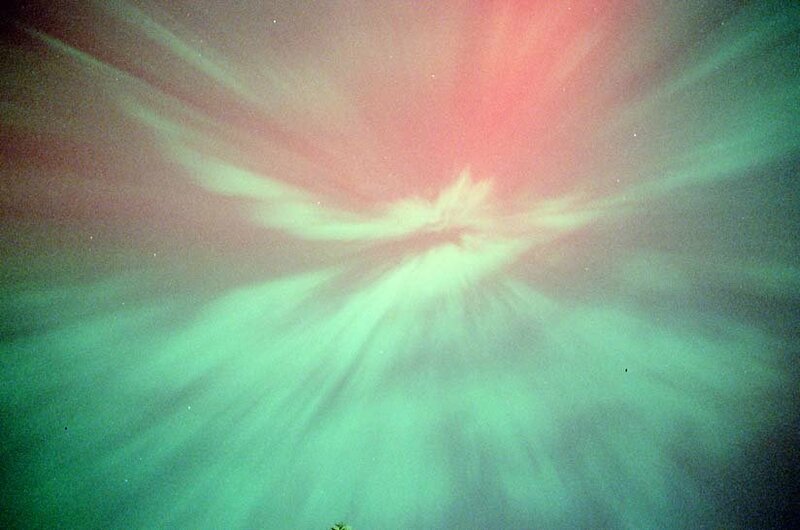 The corona was visible for nearly the entire time. 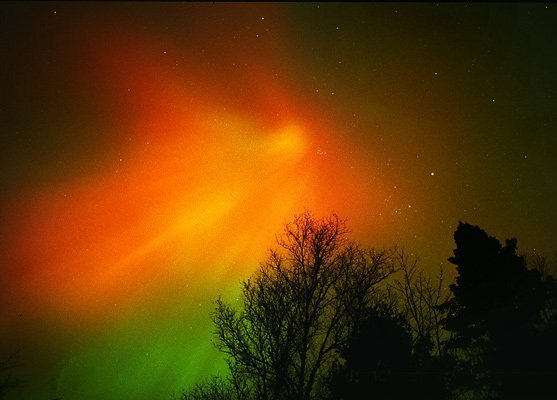 Pics taken with a Nikon FE, 15mm f3.5 and 28mm f3.5, 15 to 30 seconds. 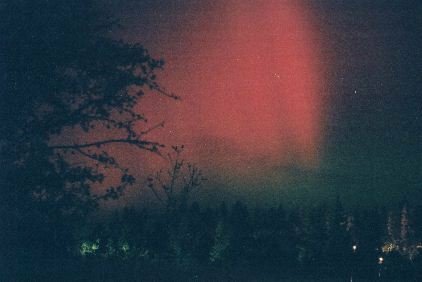 Films used: Fuji Superia 400, 800, Kodak Max 400, 800 ASA." 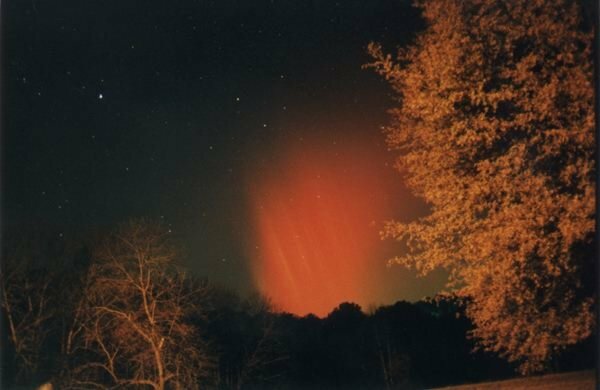 Nov. 5 #1, #2, #3 M. Schroeder: "I used an old Sears 35mm camera on a tripod with ASA-400 film, 50mm lens at f/2.8 and various exposure times from 10-30 seconds." 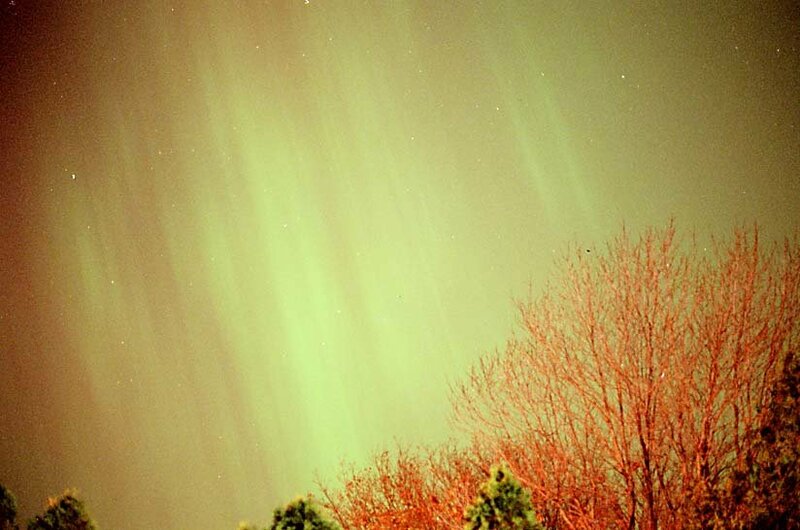 Nov. 5 #1, more T. Warner: "Images were taken using a Nikon FM2 camera with Fuji Provia 100F slide film. 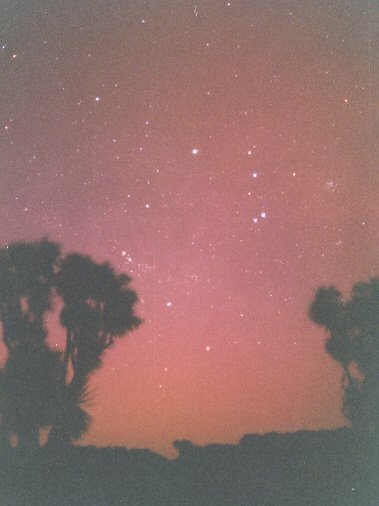 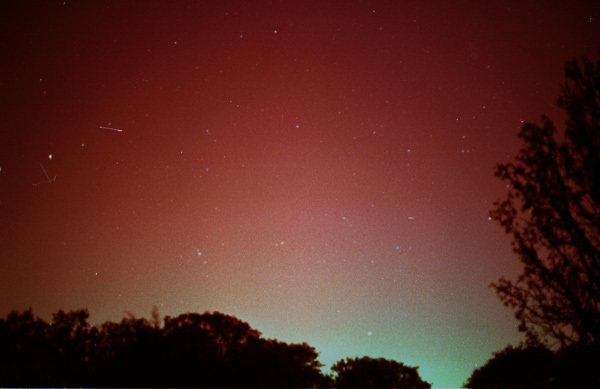 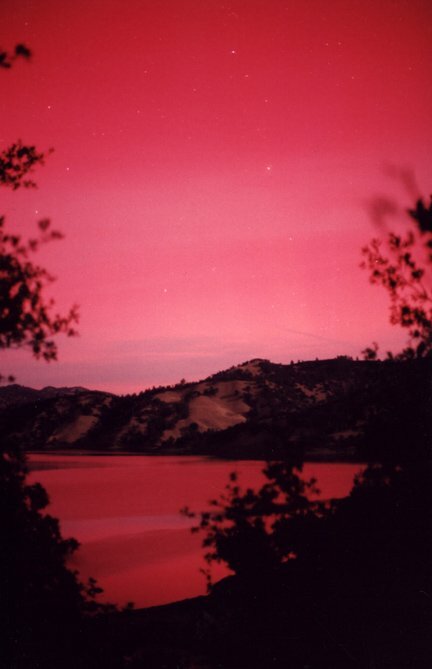 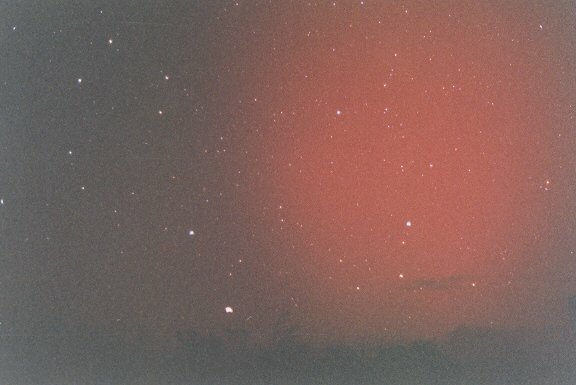 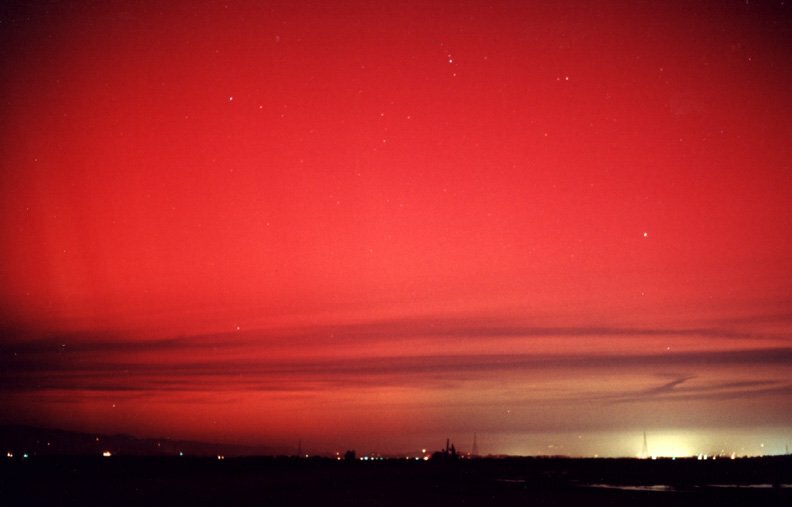 Camera settings were as follows Shutter: 30 sec - 2 minutes Aperture: f/2.8 Lens: Nikon 20 mm"
Nov. 5 #1, #2 M. Lynch: "I was looking for Comet LINEAR (C/2000 WM1) with binoculars when I suddenly noticed the northern sky was a DEEP red. 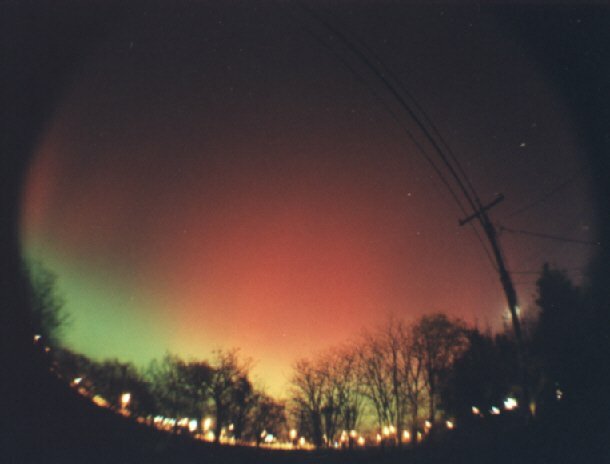 The fisheye-lens photo, showing my sky from West to East, has the Moon hidden behind a utility pole. 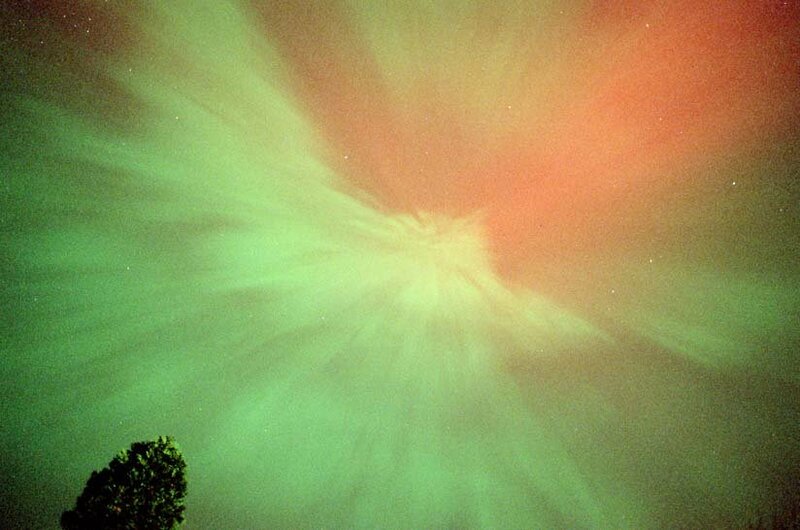 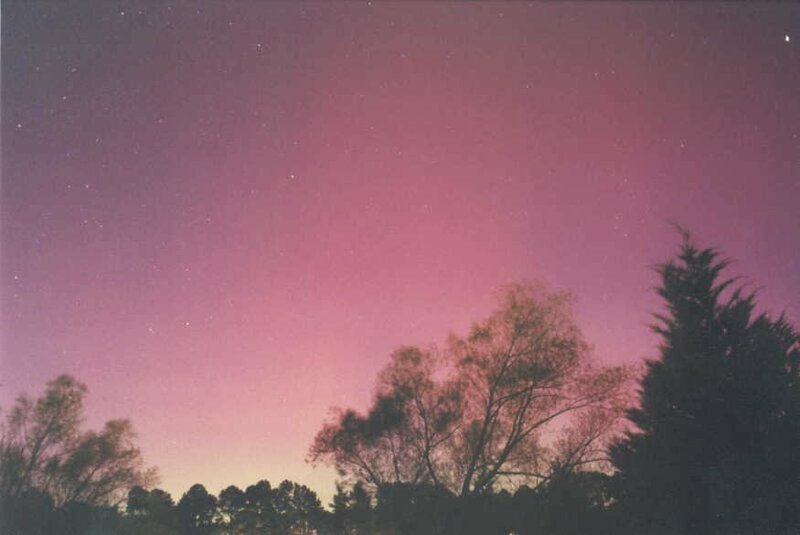 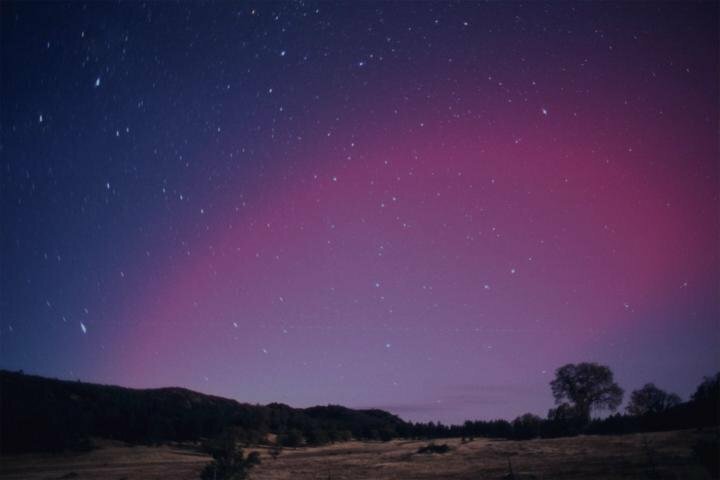 The bright Moon didn't wash out this very bright auroral display." 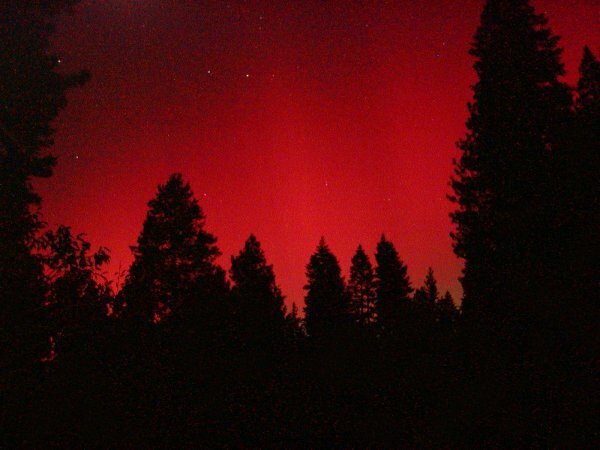 Nov. 5 #1, #2, #3 G. Sumner: "Many calls were made to 911 as observers thought there was a very large forest fire." 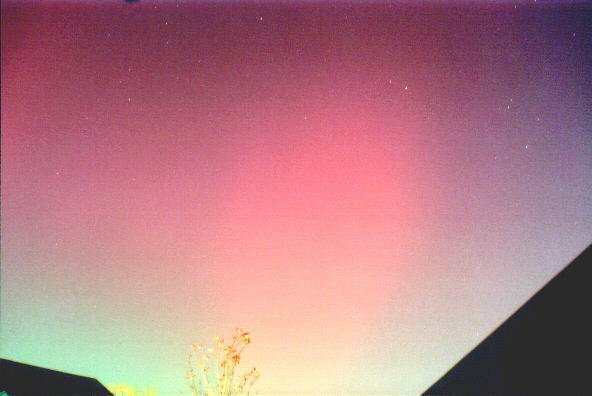 Nov. 5 #1, #2, more D. Zaras: "Both photos were taken with a Canon Elan SLR camera with 50 mm fixed focus lens set at f22 (yes, I know - I meant to have it set at f1.8 but in the excitement of seeing aurora in Oklahoma I forgotten I'd set it differently last time I used the camera!!). 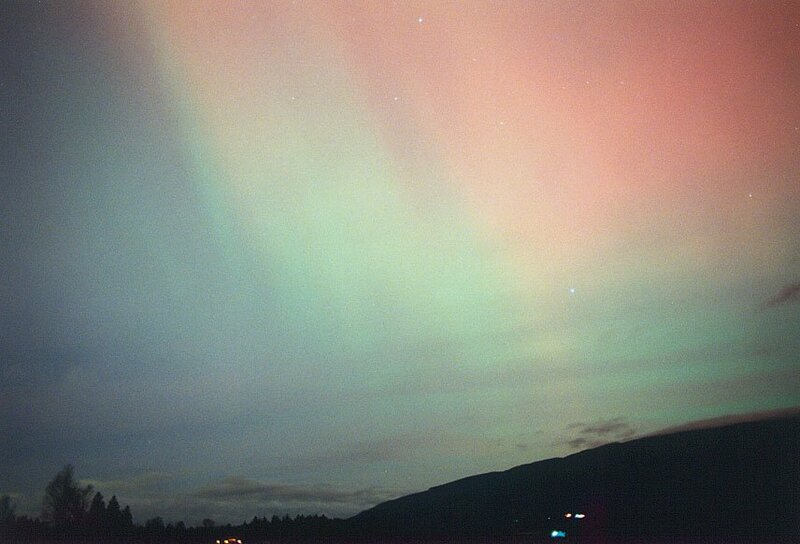 The film was Kodak Royal Gold 400 ASA." 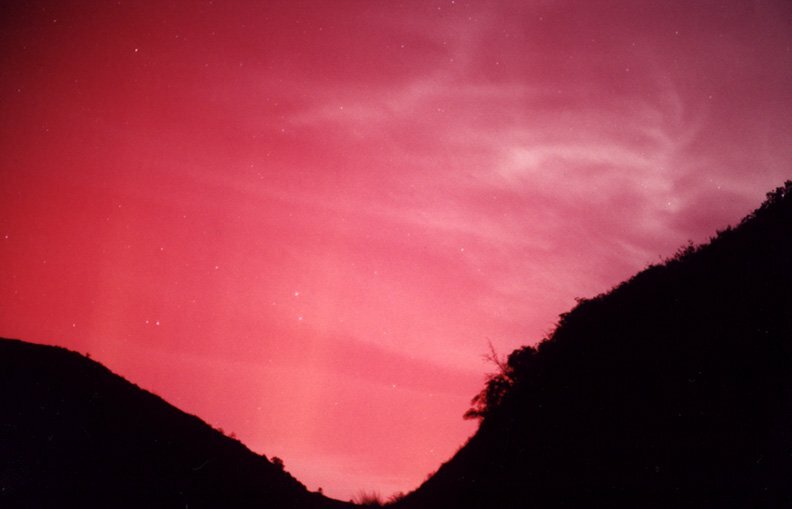 Nov. 5 #1, #2 M. O'Leary: "These photos were taken from Sunrise Highway in the Laguna mountains. 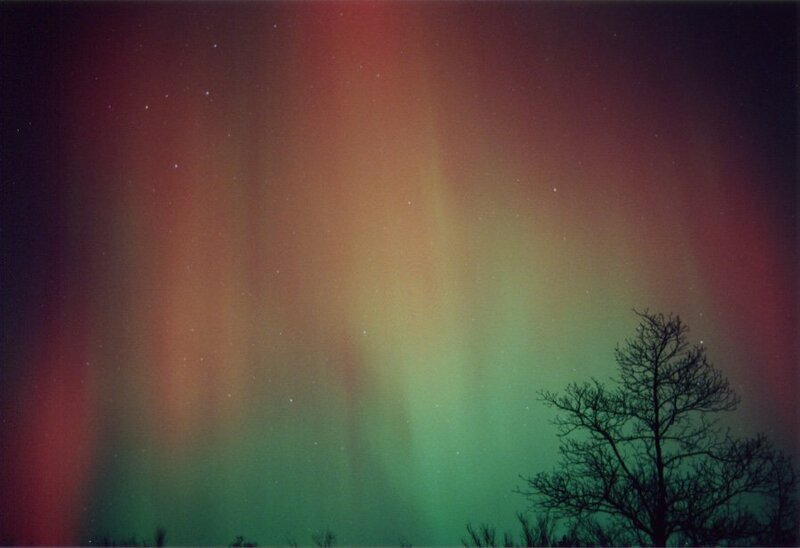 The camera was an OM-1 with a 24mm lens at f/2.0. 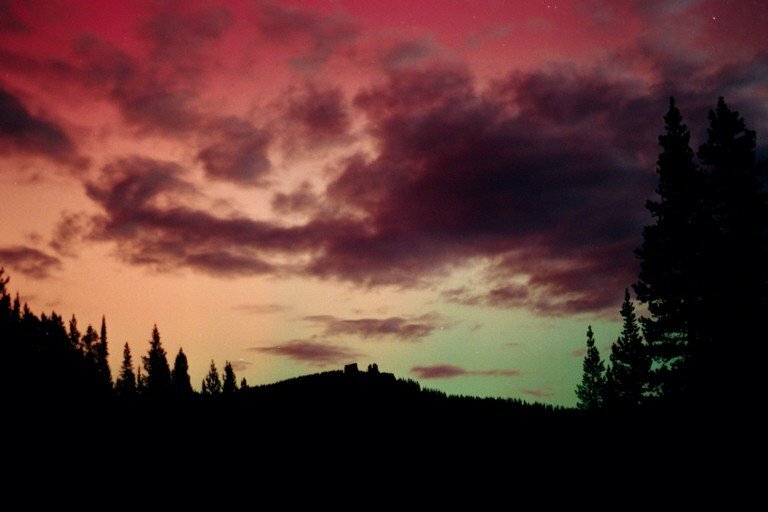 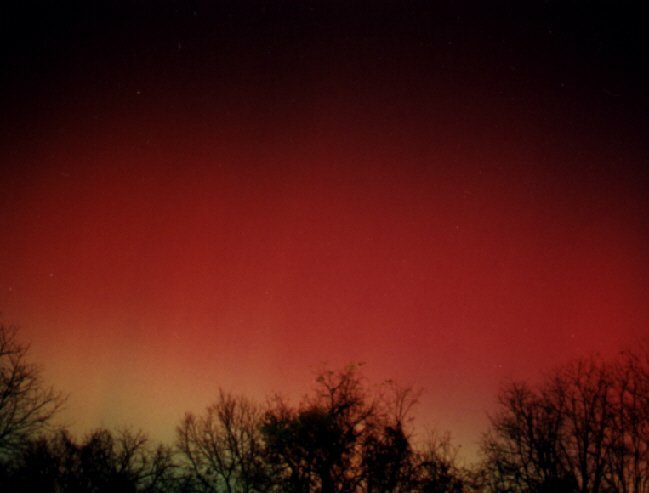 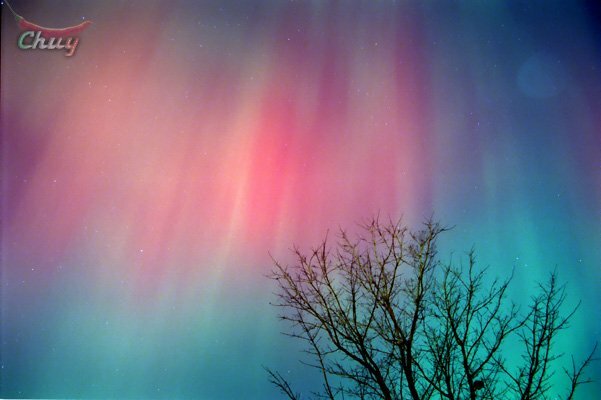 Exposures were one minute using Fuji Provia 400F film."